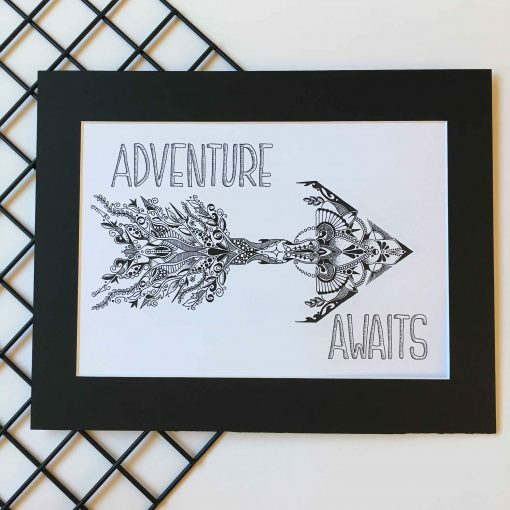 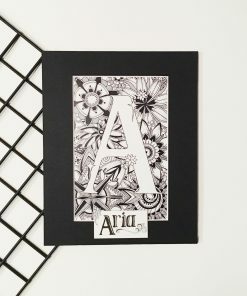 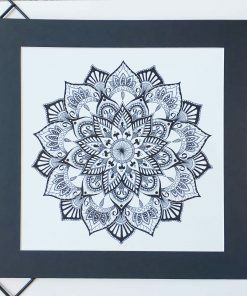 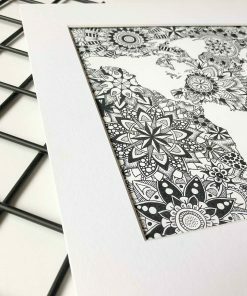 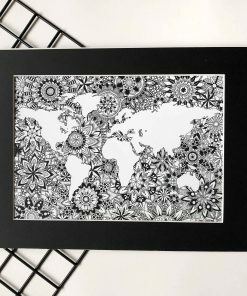 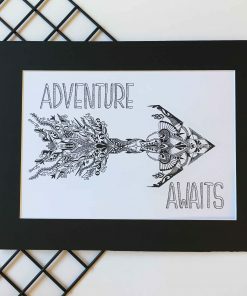 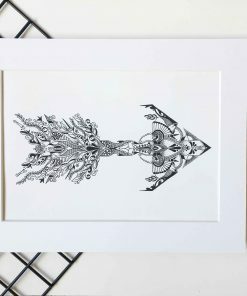 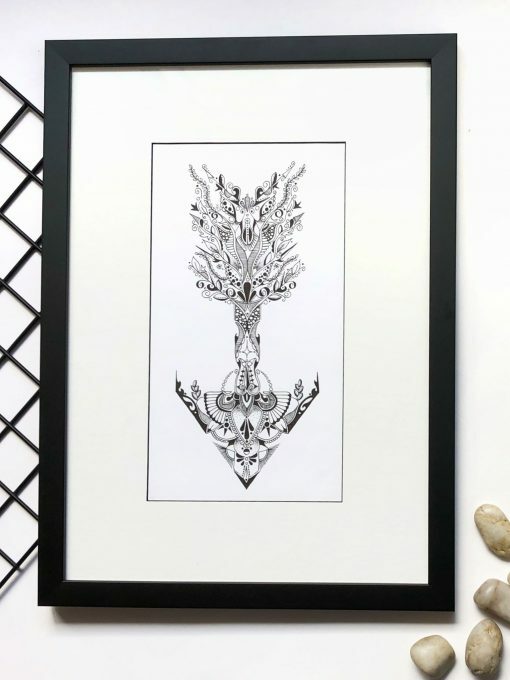 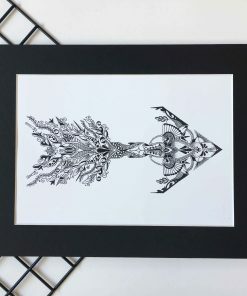 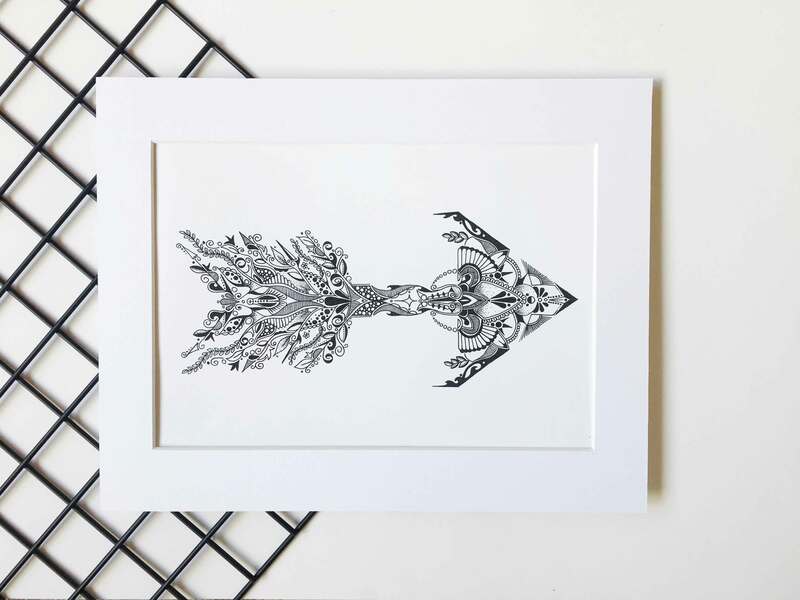 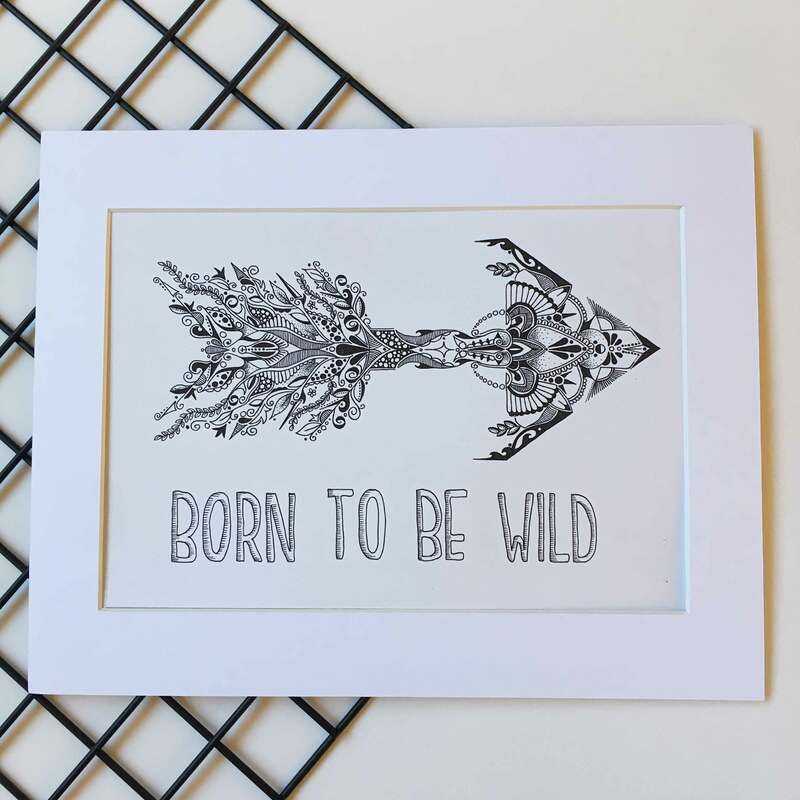 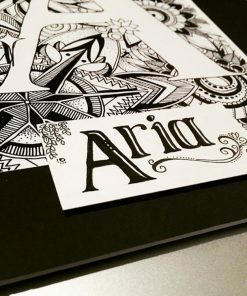 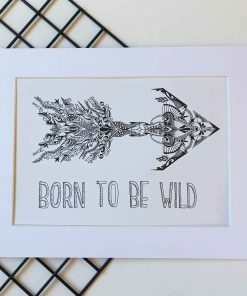 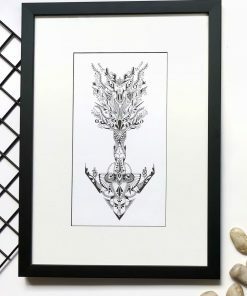 This original illustration is hand drawn with black pigment ink. The image is scanned digitally and printed on thick quality paper stock and mounted, ready to frame. 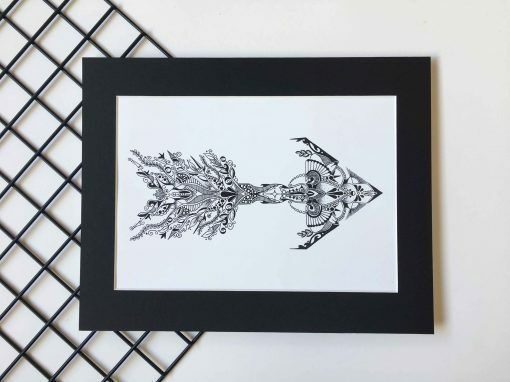 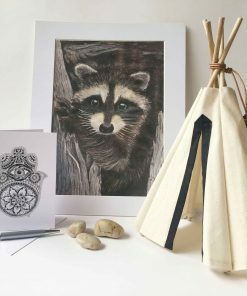 This spiritual print is the perfect addition to your home or office. 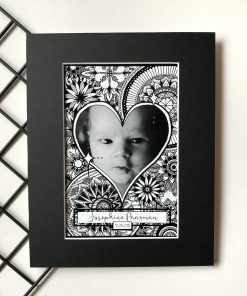 The classic monochrome designs make a bold statement or an eye-catching focal point. 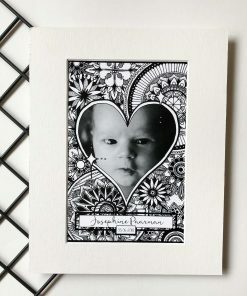 Perhaps someone you know is expecting a little one, or you are looking for the perfect housewarming, moving, or birthday gift? 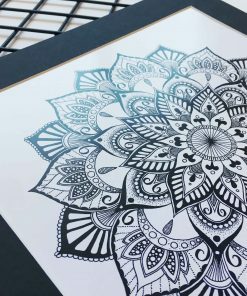 – Print size is 15″ x 15″ with a 13″ x 13″ inner window.